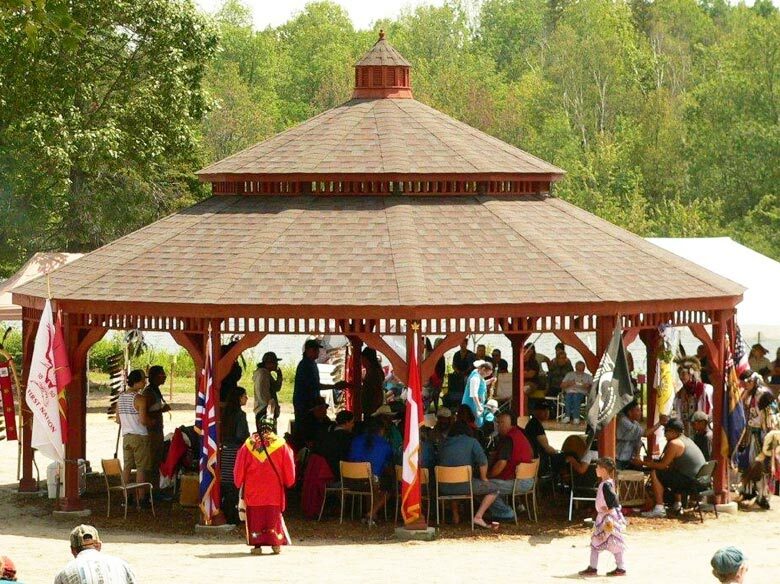 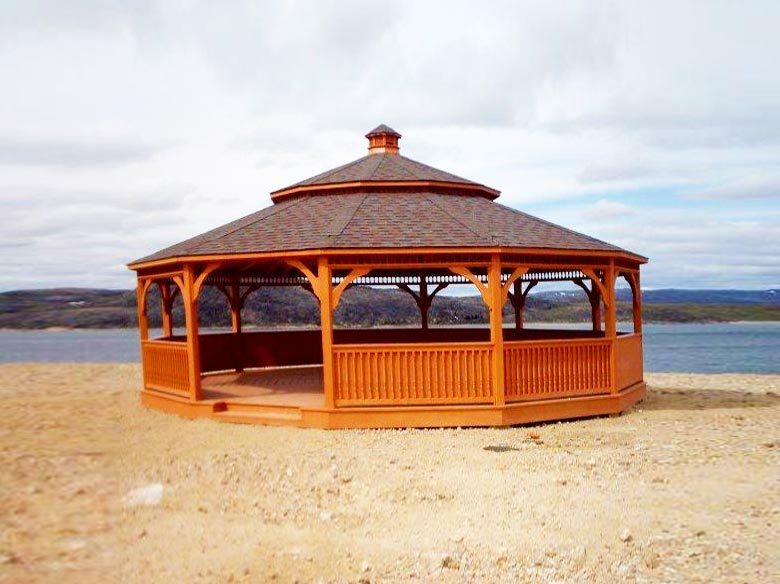 For those looking for custom Wooden Gazebos or specialty sizes/shapes, we have an on staff designer that can create custom engineered drawings for you. 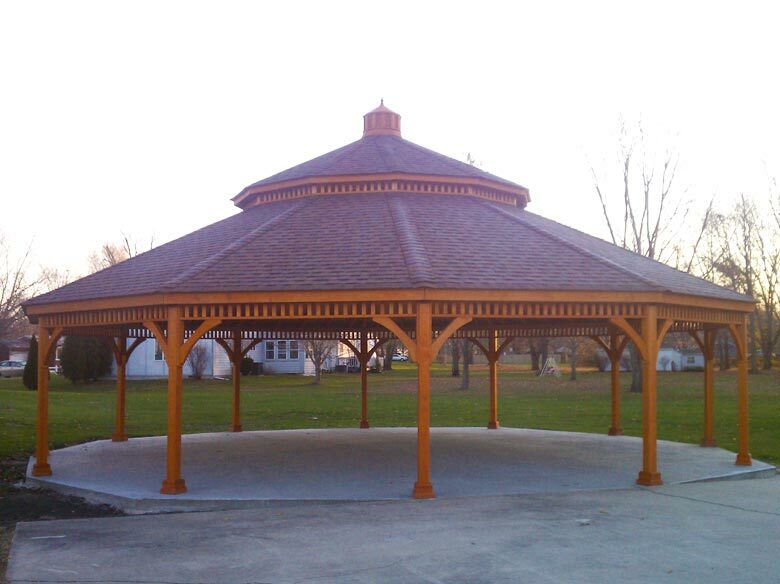 Wood Structures have been admired for years for their beauty, warmth, and appearance. 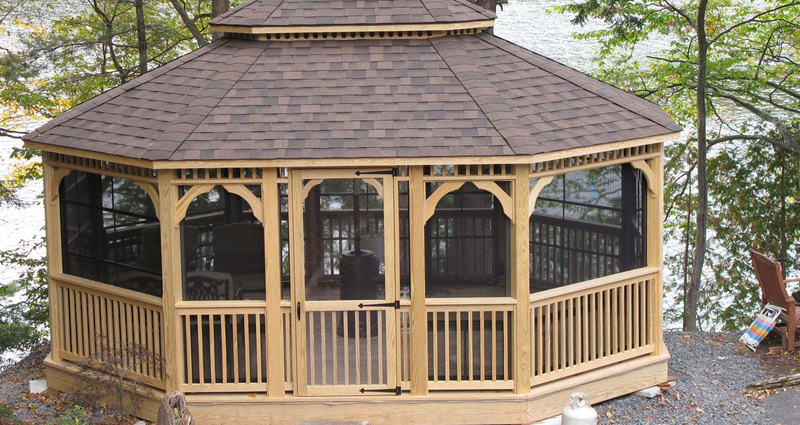 The texture, grain pattern, colors and craftsmanship are always treasured. 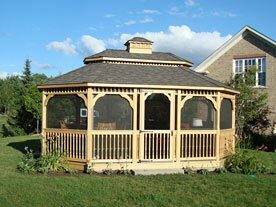 Many considered the additional maintenance a small price to pay for the pride they have in the structure. 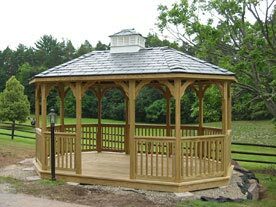 All Wooden Gazebos can be built from pressure treated southern pine, tight knot western red cedar or clear western red cedar. 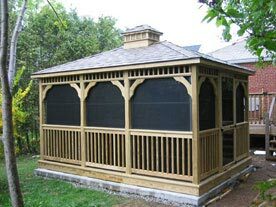 The southern pine is a stronger, higher density wood with an oak like grain pattern and the pressure treatment eliminates the threat of insects and mould. 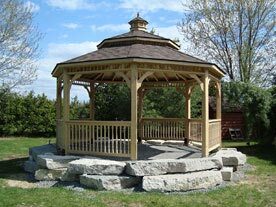 Tight knot cedar is an inexpensive cedar, but it will raise the cost of the Wooden Gazebo over that of the southern pine. 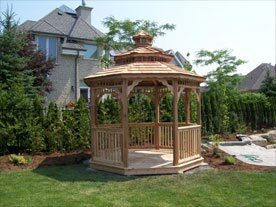 The clear cedar will double the cost, however it is the most beautiful cedar on the market and the finished product will resemble true elegance. 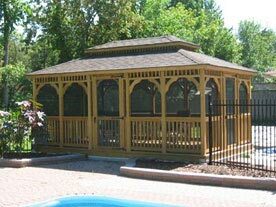 It is important to select a wood that matches or compliments the other features of the landscape. 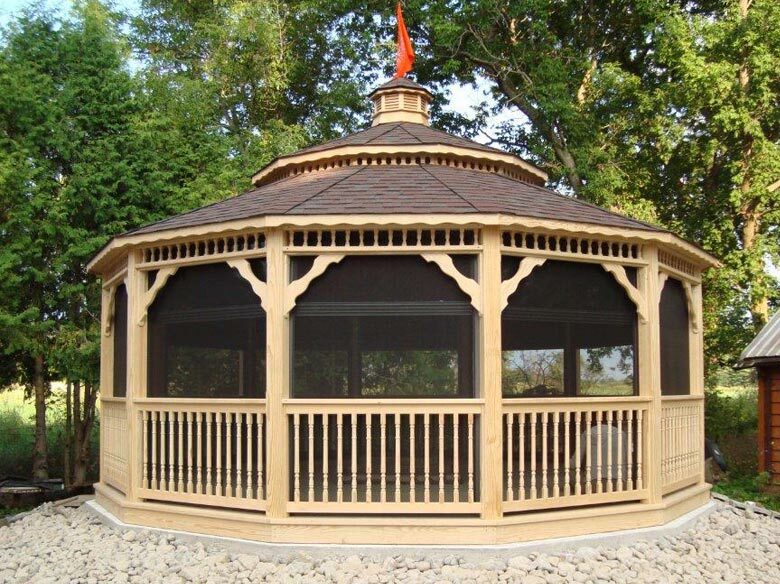 We can factory stain your Gazebo to your choice of color to best suit your surroundinglandscape features. 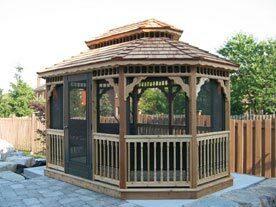 All our wooden gazebos are delivered in convenient, easy to assemble kits with full instructions for the handyman who chooses to complete the gazebo installation himself. 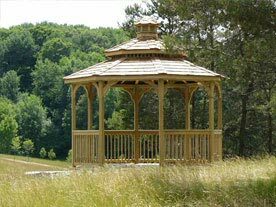 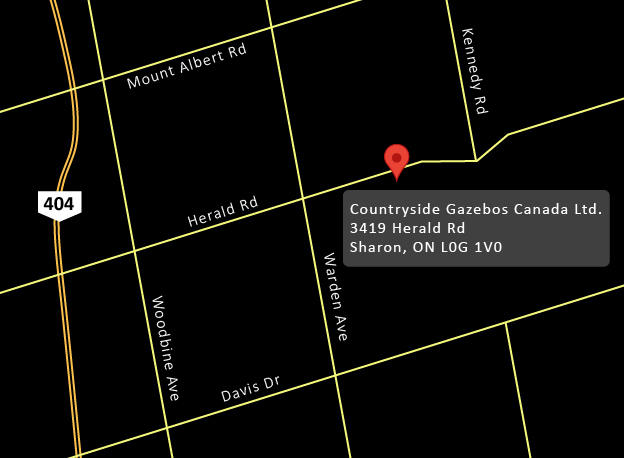 To make the road to owning the perfect gazebo even easier, Countryside Gazebos are able to install their wooden gazebos nationwide.